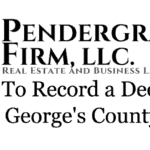 Maryland Deed Search Tutorial By The Pendergraft Firm, LLC. Just watch the Maryland Deed Search video tutorial above it’s so much better! An online deed search will only show you the last recorded owner of a property in MD. However, the last recorded owner is not always the true owner. The last recorded deed could be fraudulent, or there could be an unrecorded interest in the property floating around. 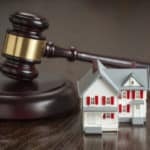 If you’re purchasing a property I highly recommend using a Title Attorney such as myself to do a comprehensive title search and purchasing title insurance. After using the Amazing top secret spy tool Google, I was able find the property address of The Surratt House is 9118 Brandywine Rd, Clinton, MD 20735. The State Department of Assessments and Taxation (SDAT) has a database with information on all the properties in Maryland. The SDAT Real Property Search tool will not give us the deed, but it will give us the information we need to find the deed. Namely, the deed reference which we can use to search for any deed using Maryland Land Records in the next step. Here you can enter the county of the property you’re searching for, and the search method. For county, I chose Prince George’s County, and for search method I chose address. Then click next. On the next page the results of our search show up. There are six columns – Name, Account, Street, Own Occ, Map and Parcel. For our purposes were focused on Street. We’re looking for 9118 Brandywine RD. It’s not on the first page. So we have to keep clicking next until we find what page 9118 Brandywine road is on. You’ll find it on the third page. In the name column, you’ll see that the last recorded owner is MNCPPC. Click on the name to find more information on the property. On the next page you’ll see plenty of property identifiers. The one we’re focused on is the Deed Reference in the top right corner. We can use the deed reference to find the exact last recorded deed for this proper. The Deed reference for the Surratt House is 06298/00167. Click here to open Maryland Land Records in a new window. Maryland Land records allow you to search for deeds to properties. 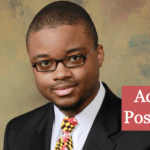 You’ll have to create a free account before doing an online Maryland Deed search. Create an account and then log in. After logging in click select county, and select Prince George’s County. The Default search is an instrument search, which is the one we want. But you can also search for deeds using individual or business names. In book number enter the first set of numbers into the deed reference which is 06298. In starting page enter the second set of numbers which is 00167, then click search. On the next screen you’ll see the results of the search. On the last result you’ll see that the Grantee is “MARYLAND NAT CAPITAL PARK AND PLANNING COMM.” This corresponds with the MNCPPC name that we found on SDAT. This is a Blues Clue! Click on deed. Viola! We found the deed! As we can see the Surratt House was purchased by the Maryland-National Capital Park and Planning Commission by from a husband and wife in 1986 for $131,000. Thanks for reading the instructions and watching the video! If you have any remaining questions on how to do a Maryland Deed Search do not hesitate to contact me! 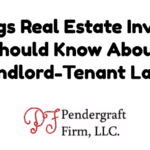 Brian Pendergraft is a general real estate attorney.Click here to schedule a consultation. 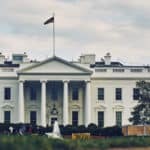 DC Deed Search Tutorial – Who Owns The White House? [Video] We Buy Houses! Or Do We? 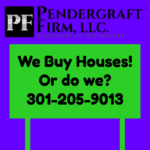 How To Find a Buyer For Your House – The Pendergraft Firm, LLC.